2015 YAMAHA Zuma 50FX, Sport and efficient. The new Zuma 50FX is based on the very popular and successful lines of Yamaha Zuma scooters and features new sport styling, a 50 cubic centimeter four-stroke engine, CVT automatic transmission, and plenty of storage under the seat. 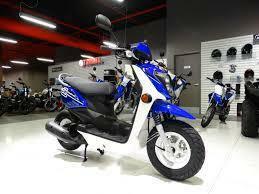 And best of all you get Yamaha quality and durability built in plus a vast national dealer network for support. All Yamaha pictures are kind of Yamaha HD motorcycles picture was taken, including motor fuel gauge, engine, engine mounts, tires, fuel tank, the car handles, lights and so on, 2015 Yamaha ZUMA 50FX 50FX full-screen viewing,2015 Yamaha Motorcycles today Price: $2,588 .